Orange Bud marijuana was originally created in California during the early 1980’s, then later bred by Dutch Passion in Amsterdam, becoming a well-known classic that’s still a firm favorite with both smokers and growers today. Containing 65% Indica and 35% Sativa genes, it was created by crossing two forms of Skunk, producing potent, dense buds covered in bright orange hairs. 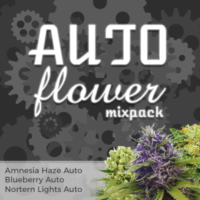 All our recommended seeds are completely feminized, each stable and guaranteed to germinate, produce the highest quality plants with large leaves and strong stems. Easy to grow, with a forgiving nature, they are a perfect choice for growers of all levels of experience, producing plants of approximately a meter tall, covered in budding sites. A perfect choice for both indoor and outdoor growers. 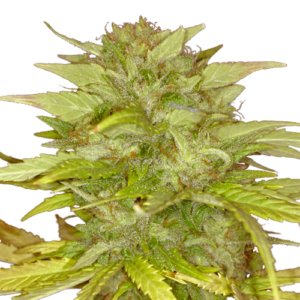 Orange Bud marijuana seeds have grown in popularity with both medical and recreational users and growers around the world. Flowering times are average for a marijuana hybrid, requiring between 8-9 weeks to achieve complete maturity indoors, and early October when cultivated outdoors. Harvests are good, with the Sea-of-Green techniques producing an average of 14 ounces of the highest quality orange buds per square meter, when grown indoors. Outside, the plants will enjoy a much longer vegetative period, especially when planted early in the season. This can result in yields of up to 14 ounces per plant, if cultivated in warm, southern locations. Orange Bud marijuana seeds are a highly versatile and popular strain, cultivated in many countries using a number of different methods and techniques. 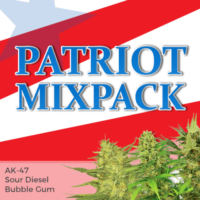 Enjoyed for both its relaxing, medicinal properties, and euphoric high, it has become a popular choice for many users as a great day and night smoke. 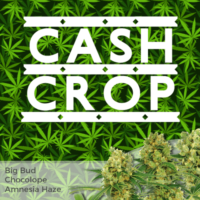 Available now with stealth shipping and delivery costs included, you can buy Orange Bud marijuana seeds in complete packs of 5, 10 and 20 feminized seeds, all guaranteed to germinate. Potent, light green buds with orange colored hairs and a citrus flavor. 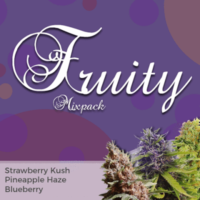 16-23% THC levels and a medium CBD content generate a relaxing, euphoric high, with an energizing body-buzz. Highly sociable, it can be enjoyed during the day or night, making it a great ‘all-round’ choice. Orange Bud feminized marijuana seeds grow well indoors, especially when cultivated using the Sea-of-Green method. their reduced height and close lateral branches produce strong, dense plants, that quickly form a complete canopy within the growing area. Medical uses include reducing stress, depression and pain, while stimulating energy levels and the appetite.